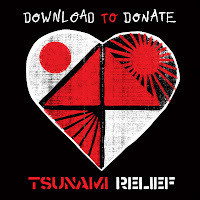 There has been a great movement here in the US to collect relief funds after the devastating tsunami that struck Japan. I have been in awe of the mass amounts of celebrities, companies, organizations, individual efforts, and creative fundraisers to collect money and aid for Japan. We have all witnessed a small glimpse of the horrors that they are going through and many of us here in the United States are blessed to have our health and well being. Here at Music Sourced, we love sharing and reviewing great music that you can download for free. I would also like to take the opportunity to share with you a way to donate money to help Japan as well as to gain access to a free music download for your generous contributions. The Music for Relief foundation and several talented artists have come together to provide a free download of 14 tracks for a minimum donation of $10 to the Save the Children foundation. This leading independent organization creates a lasting change in the lives of children and families in need around the world by providing food, medical care, education, and long-term recovery programs to help devastated communities rebuild. This is a wonderful foundation doing great things to help Japan rebuild and recover from their recent disaster. Now, how about the music? The 14 track download is stacked with All-Star talent that is currently cranking on my speakers. 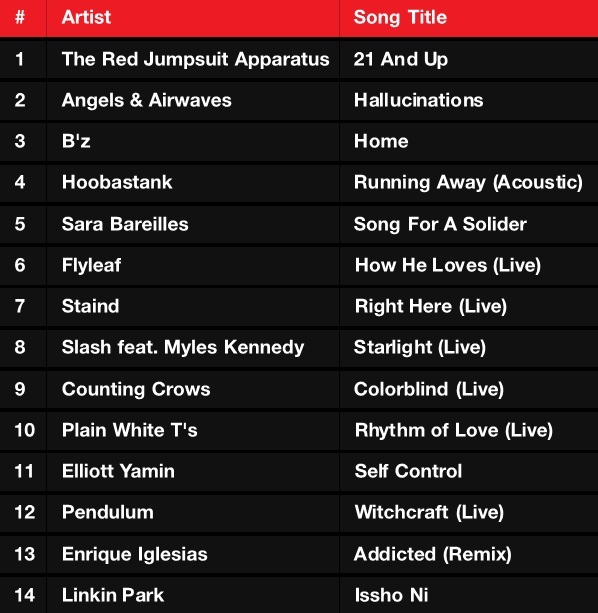 What is really cool about this mix is that it offers up a lot of acoustic and live tracks to many familiar songs that rock our radios. See some of my personal favorites as well as the full track listing shown below. Angels & Airwaves - These guys create an incredibly unique musical sound and deliver it with a punch. "Hallucinations" starts off slow and then steadily collects more and more sound that bounces from speaker to speaker. Sara Bareilles - I don't hide the fact that I think Sara's music is incredible. I was excited to get her song titled "Song for a Soldier" from this mix. You can't get it anywhere else! Flyleaf - This group does a really cool thing here by covering the song "How He Loves" by the David Crowder Band. It is a rockin' version of the popular Christian music hit that is very fitting for this occasion. Counting Crows - One of the greatest modern day jam bands. The Counting Crows offer up a live version of "Colorblind". You won't find very many album releases with this song on it. One of this groups greatest. Elliott Yamin - I've heard of this guy, but I've never taken the time to HEAR this guy. And after listening to him on this mix I've decided that he can rock! Linkin Park - Another band that can push your ears to the limit and they are also the founders of this great foundation "Music for Relief". The track "Issho Ni" is another extraordinary instrumental laid out by this groups Mix Master.